This picture is as old as time itself. FAIL. Nothing wrong with posting a classic. Very old, but still great. Epic win. Worth the repost for the pissed off look on the cats face. This picture is so old george washington saw it and was like “REPOST!”. 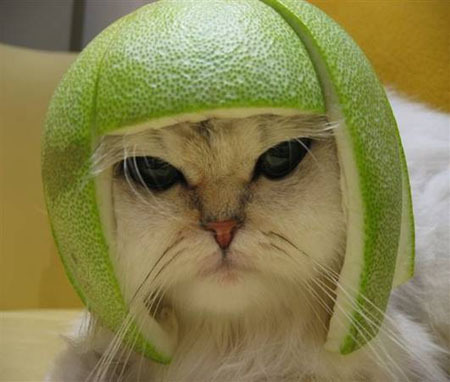 But it’s lime cat so it was okay. And whoever is going through and rating all the cat pics a 1, STOP BEING A DOUCHE! come back tomorrow if you hate cats. and besides safetey cat is not going to penalize youu for your badings. he will do nothing but try and help you on your path to teh goodys.